NEWARK, Del. 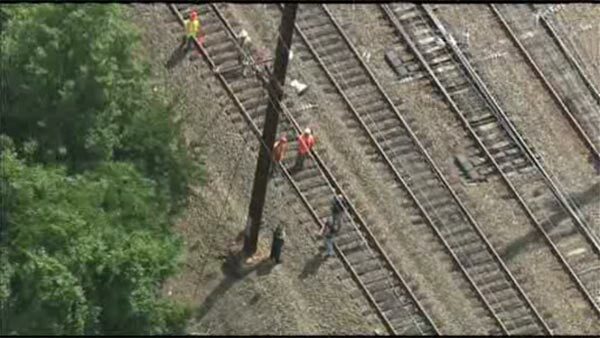 (WPVI) -- Officials are investigating the death of a pedestrian who was struck by a train in Newark, Delaware. Police were notified around 9:35 a.m. Wednesday about a body spotted next to the tracks in the area of South Chapel Street and Farm Lane.. It appears that person may have been struck by a train. So far, there is no identification of the victim. All Amtrak trains were stopped from moving through that area at 10:10 a.m. Trains started running on two tracks at restricted speed at 10:45 a.m.